Mike Anderson's belief in an attacking basketball style is on display in this video. Coach Anderson's "Run and Execute" transition game is built up from two player, three player, four player, and five player drills that enhance skill development for all positions. 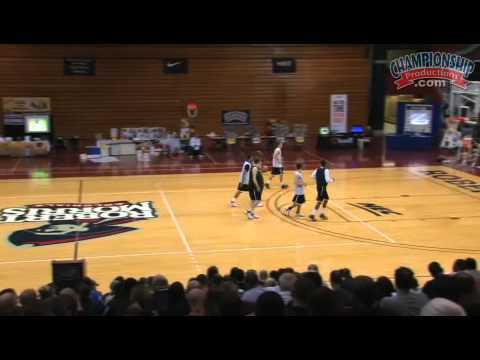 He shows his 4-Out-1-In transition offense and the basic reads it uses. The build up for the offense starts by using the short corner options going 2-on-0, 3-on-0, 4-on-0, and 5-on-0. The skip-pass and dribble penetration options are included as well. Coach Anderson's up-tempo offense gets the ball up the floor so you can run your offense as quickly as possible. This makes it difficult for your opponent to match-up defensively the way they want to.